Rocket Raccoon stars in his own series just in time for the highly anticipated Guardians of the Galaxy film. 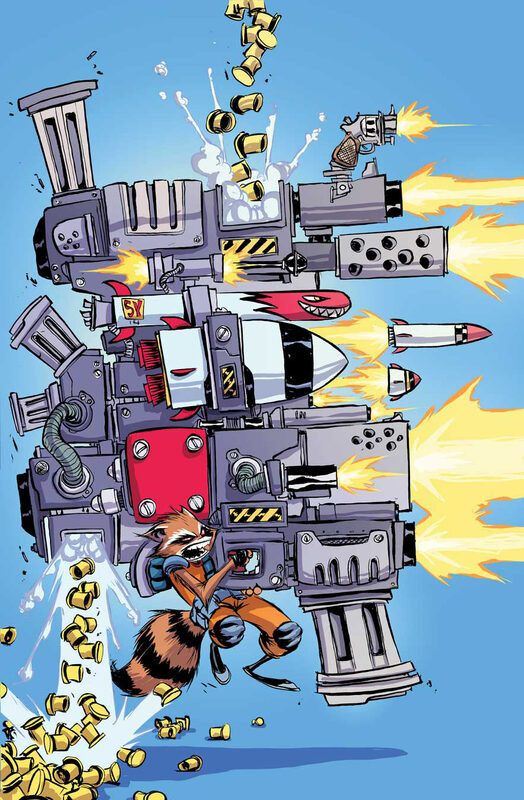 The comic portrays Rocket perfectly and makes me even more excited to see the movie later this summer. 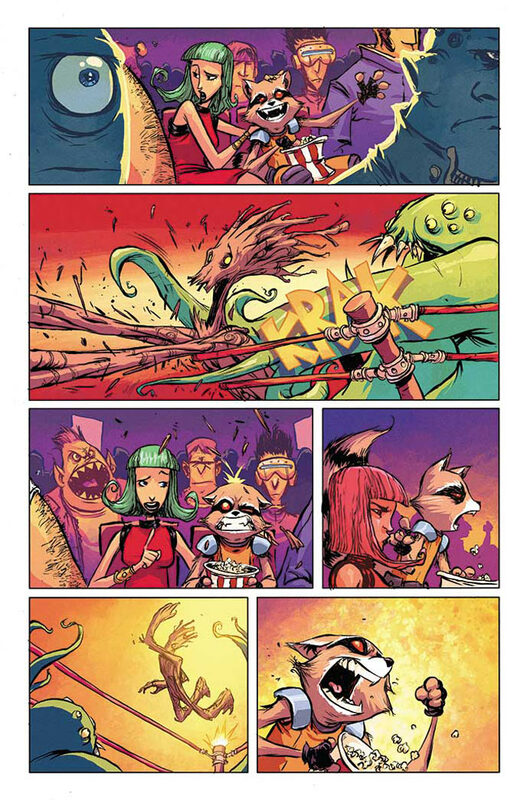 Rocket Raccoon is doing what he does best: saving princesses and then taking them out to dates…to wrestling matches. Little does Rocket know, he’s a wanted criminal. His date gets cut short when he is spotted by the space police, and he makes a quick getaway in a sewage system. After talking to Star Lord trying to find out why he is being pursued, Rocket finds out he is wanted for murdering three people. Rocket Raccoon claims to be set up, for he justifies all of his murders (he’s a professional). 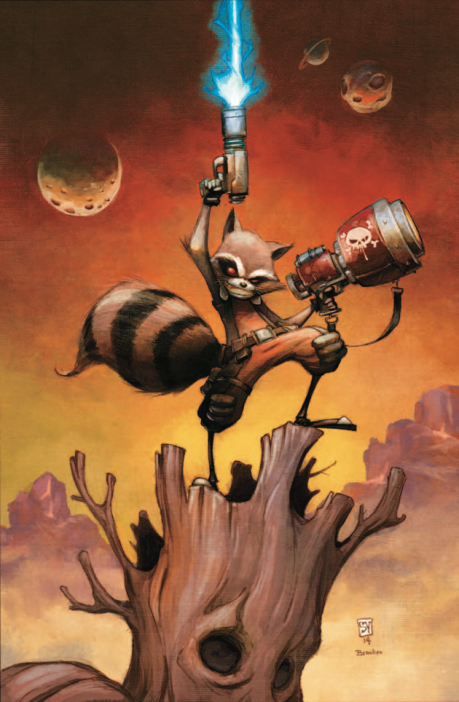 Throughout the comic, Rocket boasts that he is the last of his kind, but he eventually finds out that there is another raccoon killing machine just like him, who is the true murderer of those three people. Still trying to wrap his mind around him not being the only one left of his kind; he comes up with a plan to turn himself in so the true murderer can be caught. Most of the comic was hilarious. 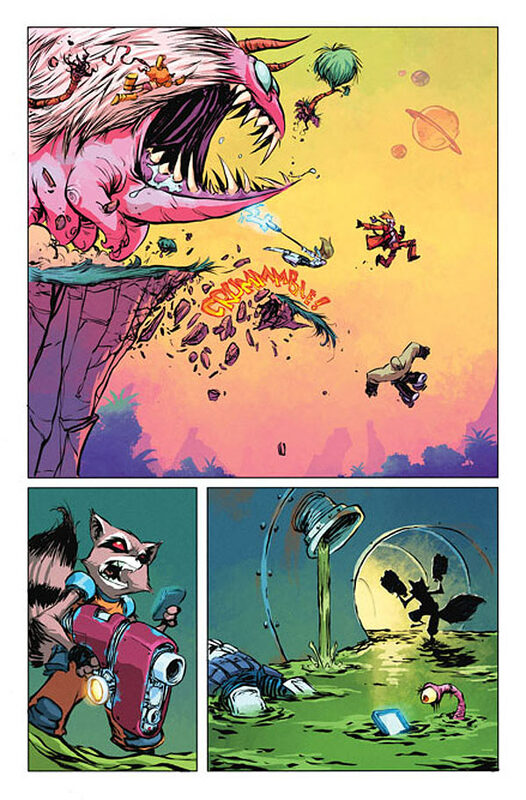 Rocket Raccoon is such a great and funny character and Skottie Young depicted him well. Reading this comic was a nice change from all of the more serious comics out there. The art style was also different, creating a more cartoony look with bright colors and cute looking characters. For those who are looking foreword to the Guardians of the Galaxy movie, this is one comic you want to pick up.